THIS IS AN OVERVIEW OF DOCUMENTS REQUIRED. ADDITIONAL DOCUMENTS MAY BE REQUIRED DEPENDING ON EACH INDIVIDUAL TRANSACTION. 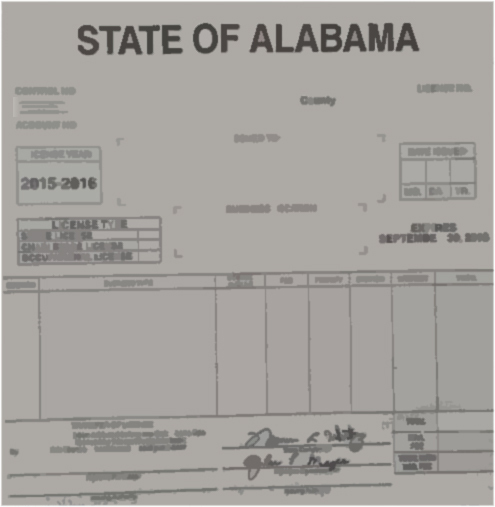 VEHICLE MUST BE HERE FOR AN INSPECTION IF THE TITLE IS NOT AN ALABAMA TITLE.